Live in the Netherlands? No? How about France? No? Ok, last one, Switzerland? No? Then I’m afraid you’re out of luck if you want to sign up to the branded American Express Flying Blue credit card. But fear not, it’s possible to transfer points from some UK credit cards to your Flying Blue account. 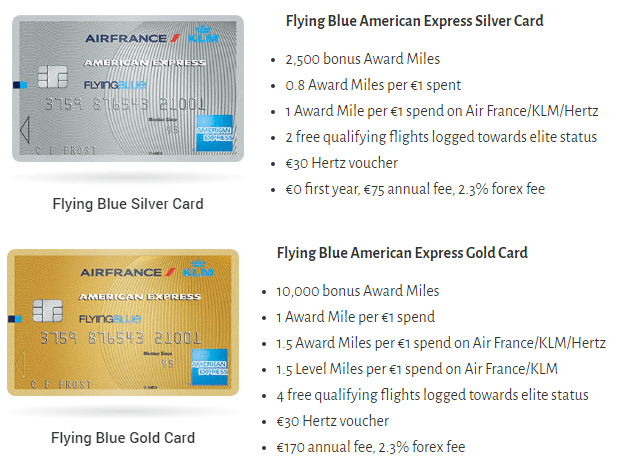 Within this Flying Blue card review we’ll look at the alternative options to the American Express Flying Blue Gold and Silver cards which are currently only available to residents of France, Switzerland and Holland. Whilst the bad news is that there’s still no way of signing up to either of these cards, the good news is that there are two credit cards in the UK market which offer far better sign-up bonuses! Through the American Express Membership Rewards and Flying Blue partnership you can transfer reward points to the Flying Blue loyalty scheme at a rate of 1 to 1. At this point you may be wondering why a UK resident would want to earn air miles with a Flying Blue card? Well for those who don’t live in or near London, redeeming long-haul flights with KLM can actually make quite a lot of sense. With most long-haul flights from small regional airports requiring travellers to hub through a larger airport, it could actually make sense to use one of the 17 UK regional airports to hub through Amsterdam on KLM and then on to your chosen destinations. The total number of air miles is likely to be similar to British Airways however the taxes will be significantly less! As I alluded to earlier, a standard American Express card can double as a Flying Blue credit card as a result of the transfer partnership between the two companies. 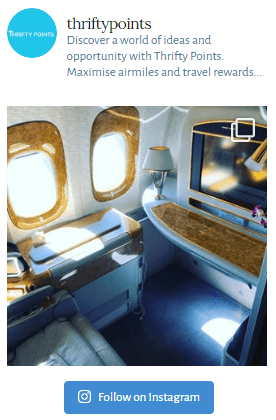 The best free card for earning Membership Rewards points is the American Express Gold card which comes with a market-leading 20,000 points when you spend £2,000 in the first 3 months. Now I’m afraid the cards isn’t free forever because after a year those clever people at American Express begin charging £140 pa for the card. Therefore I’d strongly recommend you cancel before the first 12-month period is up! You’ll also receive 1 Membership Reward point (1 Flying Blue mile) for every £1 you spend on the card and 2 airport lounge passes. Read our full review here and if you’d like to benefit from an enhanced sign-up bonus of 22,000 points please use our referral link here. As we’ve seen, unless you’re a resident of either the Netherlands, France or Switzerland you unfortunately cannot sign up to the branded Flying Blue American Express, however all is not lost. Using either the American Express Gold or Platinum cards you can still earn Flying Blue miles on your everyday spend. In fact these cards offer (in particular the Gold card) far superior benefits than their Flying Blue counterparts….